Cerebral nonagenarian and former President Shehu Shagari’s Liason Officer to the National Assembly, Alhaji Tanko Yakasai, has given reasons he is reluctant to support the clamour for restructuring blindly. 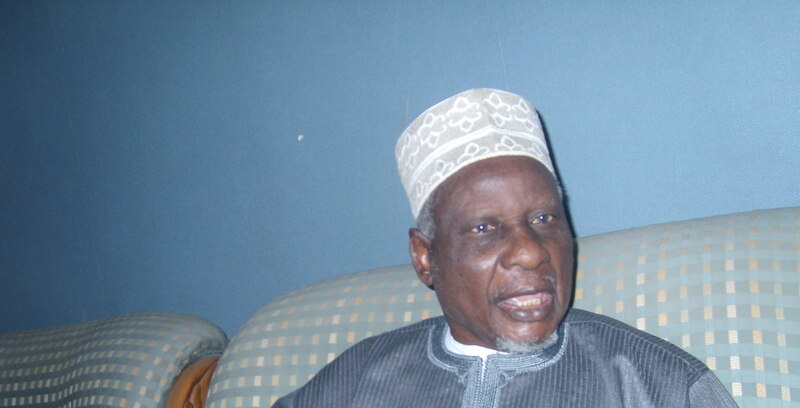 Yakasai, who is a founding member of the Arewa Consultative Forum and Northern Elders Council, says he needs to know the details of a restructured Nigeria before it will turn out to be like the ‘change’ promised by the All Progressives Congress (APC) in 2015. In this interview with Sunday Sun he also took a bird’s eye view on the nation’s electoral umpire and concluded that INEC as presently constituted lacked the capacity to deliver free, fair and credible election in 2019. With what is happening in the polity ahead of next year’s election, how do you feel? I am more at home with the present situation than the 2015 situation. Why I am at home is that the serious contentious issues such as religion, ethnicity, sectionalism are now not part of the campaigns. In 2015, those three issues drove the campaigns because Buhari was from the North, was Hausa-Fulani and a Muslim. Jonathan who contested with him was an Ijaw man from th e South and a Christian. So, now these three controversial issues are no longer present. Now, the two major contestants, Buhari and Atiku are from the same ethnic group, same section of the country and same religion. So, these controversial issues are no longer the driving forces. So, what should be the programme issue is: how are they going to make Nigeria better than it has been. So, I hope they will do that, but not in the way it was done previously. Previously, politicians hire seasoned journalists and academicians to write good English as programmes for them only to help them sell themselves to their parties, but hardly are policies based on the realities on ground. Now, the problems facing Nigerians are those of massive unemployment, poverty and security. Formerly, in 2015 the major issue was Boko Haram. Today, Boko Haram has changed its tactics. Before they were hitting markets and other civilian targets and so on and that was making them very unpopular. So, today they have decided to leave the civilian target and concentrate on the security forces. That is why they are now able to kill 100 and 200 soldiers and policemen. This time around the manifestoes of candidates are based on realities on the ground; the problems of massive unemployment and so on. And you can address the issue of unemployment by paying attention to agriculture, modernizing agriculture, investing heavily on agriculture. You don’t need to generate funds to spend on agriculture. You can partner with the private sector and in a matter of one, two years you will experience a drastic change. Let me ask you this question that flows from your thoughts on Boko Haram. Have we been able to win the war against the insurgents? The government feels they have been degraded. Can I sum this up by asking you your impression of this government? Previously, Boko Haram was limited to the Northeast. Even in the Northeast, out of the six states the insurgency was limited to three states, Adamawa, Borno and Yobe states. Now, it has spread from that time on. The problem of insecurity has spread; the question of armed robbery, kidnapping and other vices hitherto unknown are now spreading all over the country. Also recently, I saw on the social media that a new Boko Haram has emerged in the Northwest, in Sokoto and Zamfara states. So, certainly the situation has not improved. In fact, it has worsened. If the new group is not violent as they are trying to make us believe what is the purpose of forming the group? But in Zamfara State, the worst hit state in Nigeria where hoodlums will serve notice of invasion to towns and villages on specific days and dates for people to evacuate their towns and villages otherwise they will descend on them, where they do not heed such notices they are attacked and their foodstuff and cattle carted away with huge human casualties after which they disappear. This has happened more than 10 times. That was why Buhari paid a visit to Zamfara State two years ago and directed the military to go and establish presence there. But today, rather than abate it is spreading. If they say they are winning the war they are just daydreaming. I want your record of scores for this government? This is the point. Ask anybody on the street how much does he or she spends to get a square meal in 2015 and how much does he or she spend today? If you do not want go to the market and ask how much a bag of rice cost today as compared with 2015, gari, yam and the rest of it, go to the streets and ask people. They will tell you it is two to three times more expensive than they were three years ago. This is not an academic issue that you need to conduct a research. Just take your car or whatever you have, go to the market and ask them how much they are selling things today as compared to three years ago. That will give you the answer. It is lack of programme. The present government came with the slogan of “change”, but unfortunately Nigerians are so gullible that we don’t ask questions. When they said “change”, nobody asked what kind of “change” they were bringing. You the journalists, we the politicians and the ordinary people did not ask them what kind of “change” they were bringing. Everybody just went for “change.” We all just went for the president and the party. Today, you can answer the question rather than asking me. What has changed in Nigeria? Nothing in my opinion has changed. If somebody is saying something has changed let him tell Nigerians what has changed since 2015 till date. The story is that the PDP government in their 16 years in government made things difficult for them because they looted the treasury? Now that they are not looting the treasury, if it is true where is the money now? The looters if it is true are not there. They have gone. They are now there and they are not looters, where is the money? They are getting more money than we were getting in 2015, where is the money now? The crude is getting more money now. You can look at how much it is being sold now and how much it was sold in 2015. They are insisting that the previous government got more money than they have gotten so far? No. They are taking the number of years, including the years of oil boom. But we are talking of specifics. Go to 2015; how much the crude was selling and how much is it selling today? (Cuts in) Who? Who supported Buhari? No, no, no. I have never supported Buhari. I will never support Buhari and I will tell you why. The vehicle upon which Buhari came to power was that he is a man of integrity. Right from the word go in my opinion a man who is armed by the state to protect the nation’s territorial integrity and uses the weapon provided by the state to take over control of that state and runs it for himself, to me that person cannot be a man of integrity. This is because he swore to God that he would protect the Constitution and the law of the country. And the Constitution of the country says the government of the country cannot be changed except in accordance with the provisions of the Constitution. If somebody has carried out a coup in a country where the Constitution says you cannot change government except in accordance with the provisions of the constitution and the provision says you can only change government through election, will you call such a man a man of integrity? You can form your opinion and I am entitled to my opinion. Anybody who swore to the Quran that he would defend the Constitution and the law and turned around to use the weapon provided for him by government to scuttle the same government and took control for himself and not the nation that man is not a man of integrity to me. Who then is your candidate for the 2019 presidential election? I have no choice now. My only choice and your choice and everybody’s choice is Atiku. The reason is that we have not tested Atiku before, but we have tested Buhari for three and a half years apart from his era of military rule when he ruled for two years without leaving anything by way of legacy. Now, he is three and a half years what has he done? In my opinion Nigerians have no alternative than to try Atiku that we have not tried before. Not that he is strange, but since we have never tried him before; not that he is a saint, but let us give him a chance then we will be able to make up the difference if there is any. Is the pattern of voting then likely to change from that of 2015? Naturally. Why the North voted for Buhari in 2015 was because of religion, ethnicity and sectionalism. Now, nobody can say one candidate is a Muslim and the other a Christian. Nobody will say one candidate is a northerner and the other a southerner or one candidate is Hausa-Fulani and the other is not. Nobody can say that today. So, it would change. I want your sincere and honest assessment of the statement made by Buhari’s wife to the effect that her husband would have achieved more than he has achieved, but for the antics of two men whom she did not name? You know this is not the first time that lady spoke. She has been very critical. In fact, at one time she promised not to campaign for her husband. You remember. She did it when she was outside the country actually. So, I am not surprised at what she said because she is not the only one who is speaking about the two people controlling the affairs of the government. In fact, there has been a lot of talks about cabal in the Villa and at one time the former Secretary to the Government of the Federation said there was a cabal and he was a member of the cabal. So, I am not surprised if she comes out to say anything like that. So, she is not the only one saying so and it is not the first time she is saying so. Now take a look at the APC. Did you ever expect there would be the level of implosion we are witnessing today? They said the PDP people looted the treasury and mismanaged the nation. Now, apart from Tinubu and his people who and who are in APC today that was not in the PDP? Are you getting me? Yes, I know Osinbajo was brought by Tinubu; tell me who and who was not in the PDP before now among the governors, ministers and all the leading figures that are running the party and the country today? So, what are they talking about? This is true and many Nigerians know this. So, there is no record that would make them different people altogether just by defection from the PDP to the APC. I recognize you as a politician of note because you have been a stakeholder since the First Republic. When a politician is in a party and he says he would not campaign for the candidate flying the flag of his party, but for the candidate that defected from his party to another one, what does that amount to? What that is called in the political vocabulary is anti-party. In a disciplined party they will be sanctioned; but I doubt if anything is going to happen to them because they are so clever by saying they will not support the candidate in their states, but will support Buhari. And they know that if you say you are going to support Buhari you can do anything and go scot-free. I might not know your stand on restructuring because most northern elders are somehow against it. But the candidate you are supporting has as his focal point the issue of restructuring and his opponent, Buhari, has always held a view that is against restructuring. As a matter of fact, Vice President Osinbajo spoke his mind when he said restructuring is not Nigeria’s problem, but the management of resources. Do you really think restructuring is the answer to our problems in Nigeria? You and I believe and everybody familiar with constitutional politics, restructuring means changing the constitution of the country. Isn’t it? So, what I have been clamouring for all these years is that what will that mean to Nigeria? How would a restructured Nigeria look like? This is what I am looking for. I do not want to support something blindly because it happened in this country before. You supported “change” when APC emerged and now there is no “change”. So, let me know how a restructured Nigeria would look like because my own is finished. At 93, I am just, like Chief Edwin Clarke will say, at the departure lounge. Whether I like it or not, I cannot have another 93 years ahead. In fact, if you know my life today I spend most of it in my bedroom. I don’t even go down to my sitting room until well after 3 O’clock. I watch my TV, do my writings and readings in my bedroom. I was not like that before. So, the world is for our children and grandchildren. So, if I go what will be the condition under which my children and grandchildren will live under a restructured Nigeria. Now in declaring your support for Atiku, it is assumed that you believe he would win the 2019 presidential election. If that is correct, what are your considerations? Well, I believe the country now is more in tune with supporting Atiku because they will share the North, which gave Buhari more support. I don’t believe he would sweep the North because what made him to sweep the Southwest and the North was religion, ethnicity and sectionalism, which now are no longer part of the issues for contention at this election. They are not going to feature prominently. Even if they feature they cannot influence the cause of events. Unknown to you, a Friday before the Saturday election of 2015 presidential election the sermon in almost all the Mosques was for Muslims to vote for their fellow Muslim candidates. Now, that the two candidates are Muslims would the Imams continue with the same sermon of 2015? It is possible for one of them to win majority votes in one zone or another. But if it is for Northeast they are yearning to win the election because they have never done so before. So, this is a selling point and I am sure that would work for him. Buhari is from the Northwest, but they have voted for him before. I don’t know…in Sokoto State now the governor is from the PDP. Kano is not the same anymore because Kwankwaso is no longer in APC. He is now in PDP. There are a lot of changes that have taken place in the political character of the North that the voting pattern would not be the same as it was before.